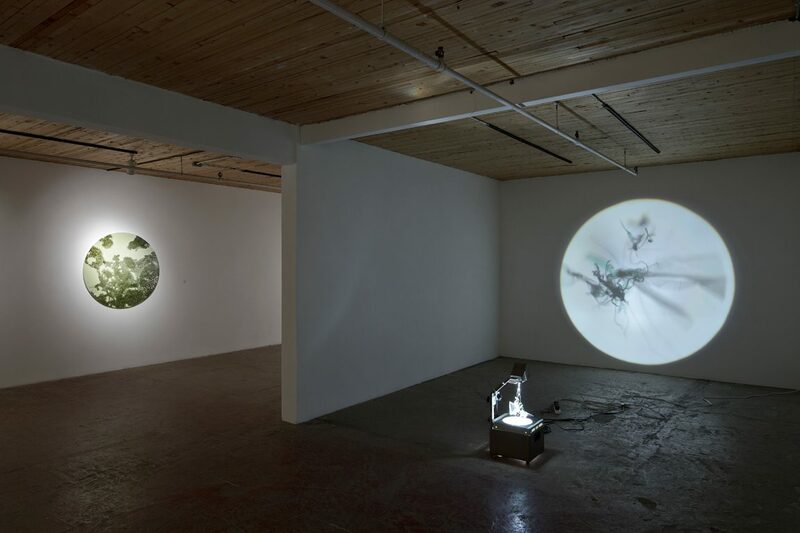 Opening reception: Saturday, March 3, from 3 to 5 p.m.
Nestled between artistic innovation and scientific discovery, Laurent Lamarche’s work explores the boundaries between art and science, nature and artifice, and fact and fiction. 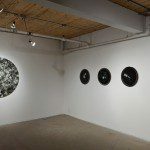 Lamarche crumples, heats, sculpts, scans, crops, and projects recuperated plastic – his material of choice – to create images and sculptures that are at once ambiguous and evocative. 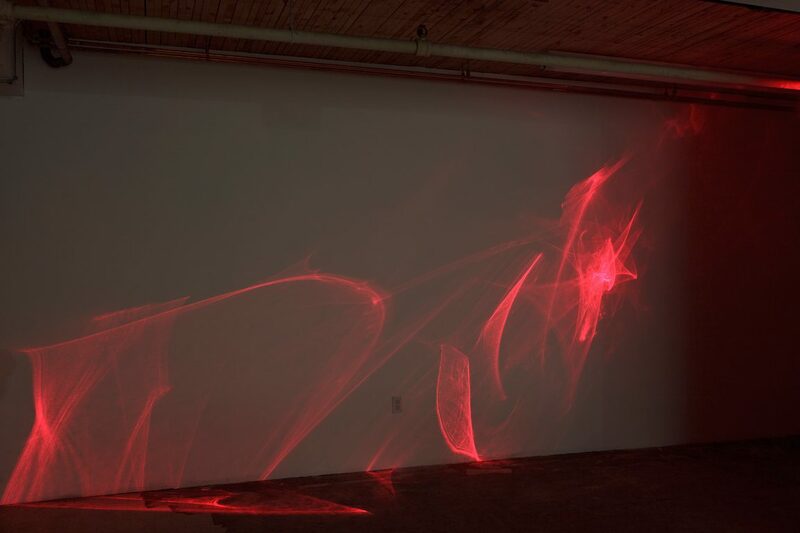 Lamarche’s manipulation of plastic as a medium retains a sense of play. 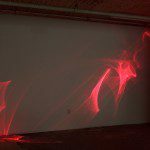 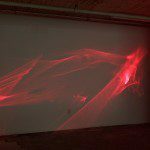 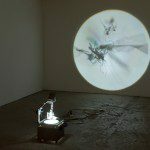 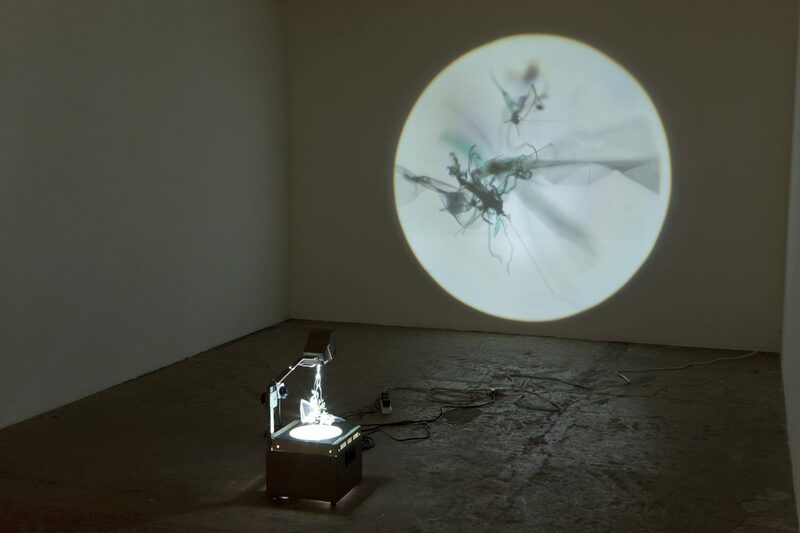 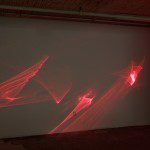 The resulting works include an oversized sculpture of a new species of insect ‘brought to life’ with the use of muscle-wire that causes the insect to move and twitch, and a sculptural installation that diffracts laser rays through a hardened, heart-shaped plastic bag. 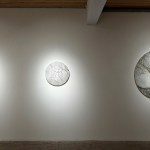 Light becomes an integral part of his work as he explores the transparent and translucent qualities of plastic and the myriad of ways in which it can be used. 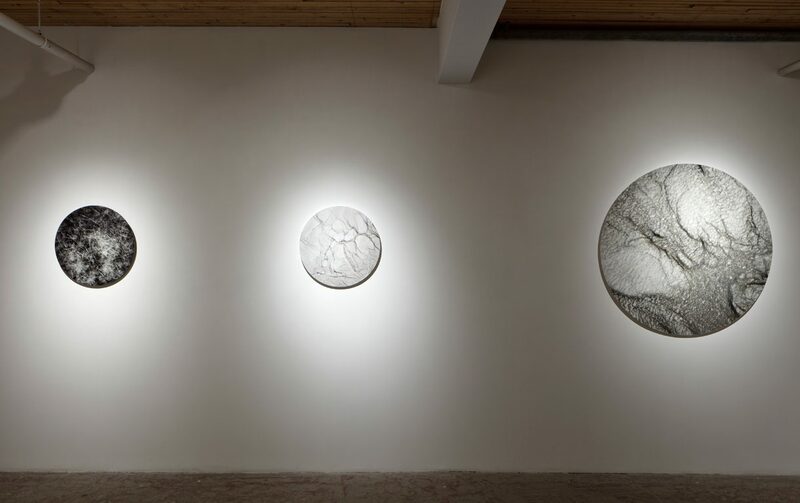 For Lamarche, the malleability of his materials, their potential to be transformed – and as a result transform their surroundings – can change the way we perceive things in the world. 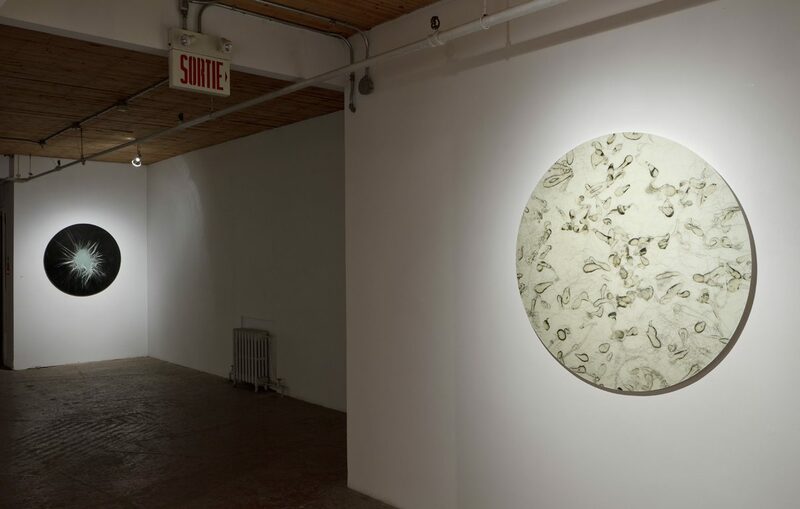 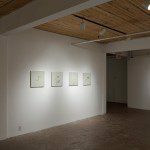 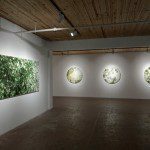 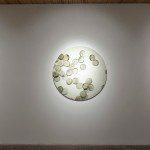 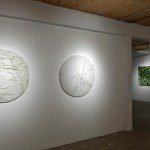 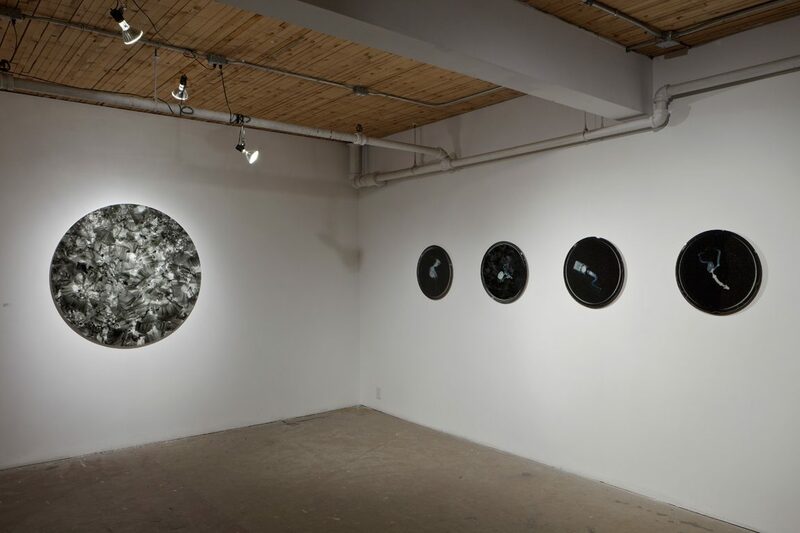 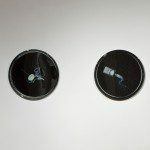 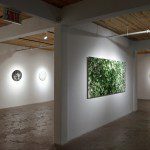 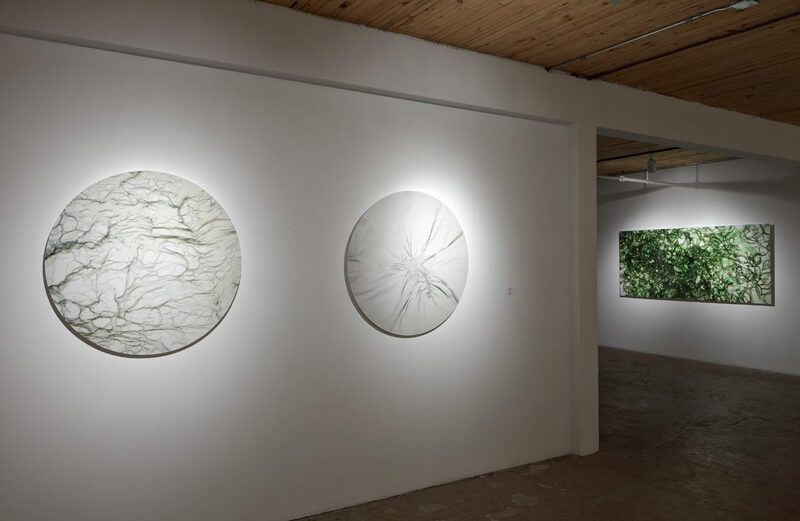 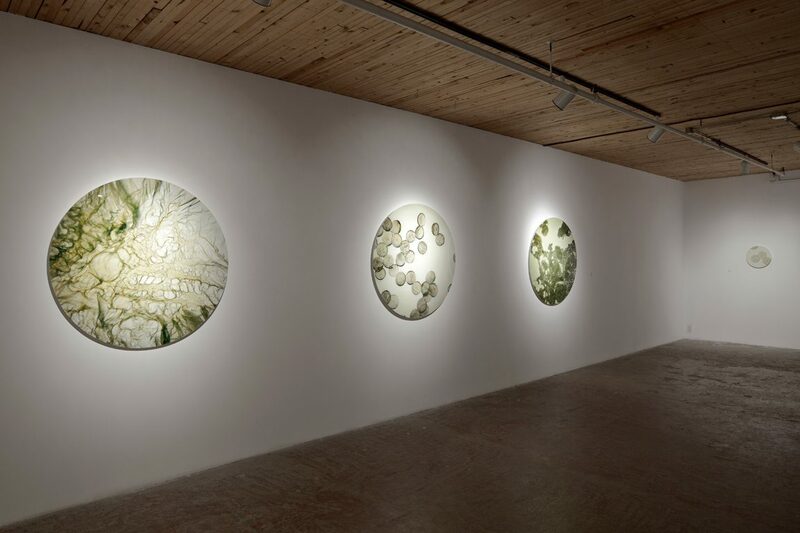 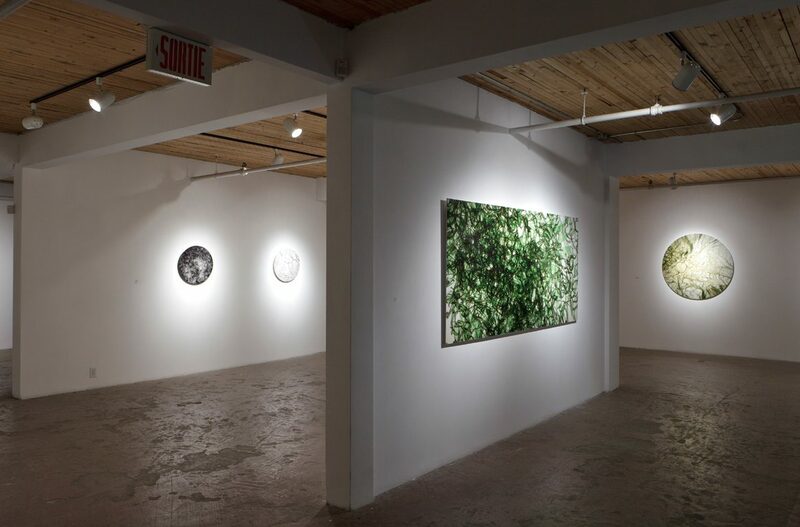 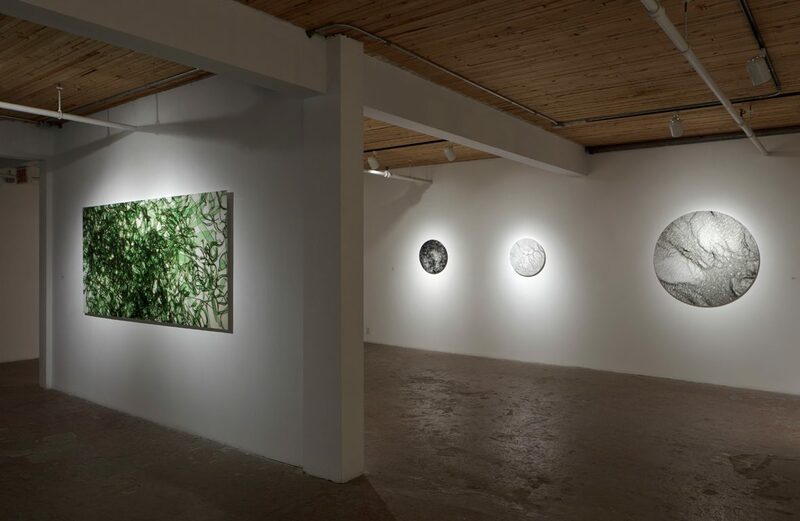 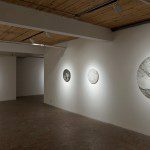 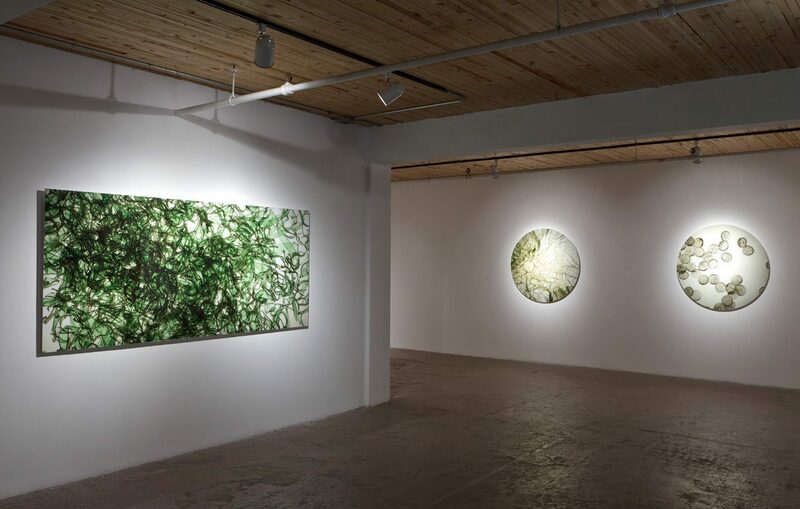 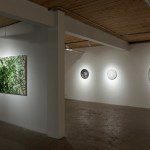 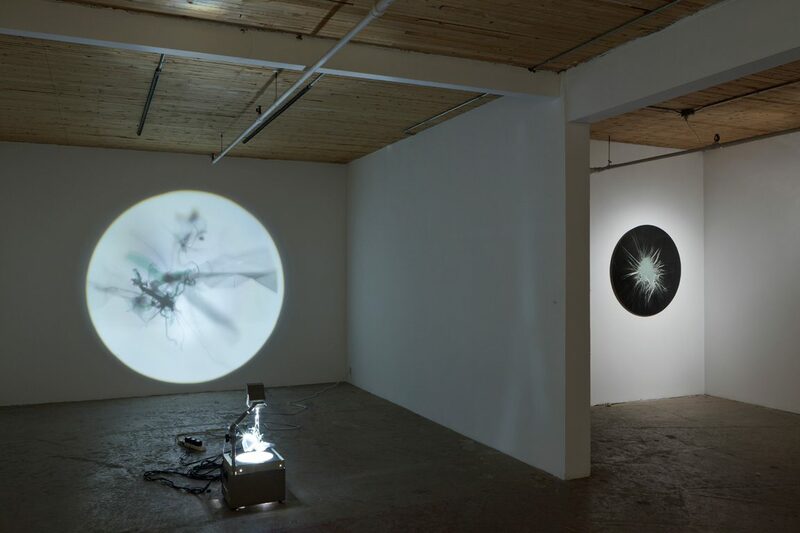 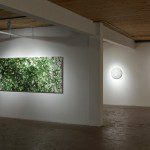 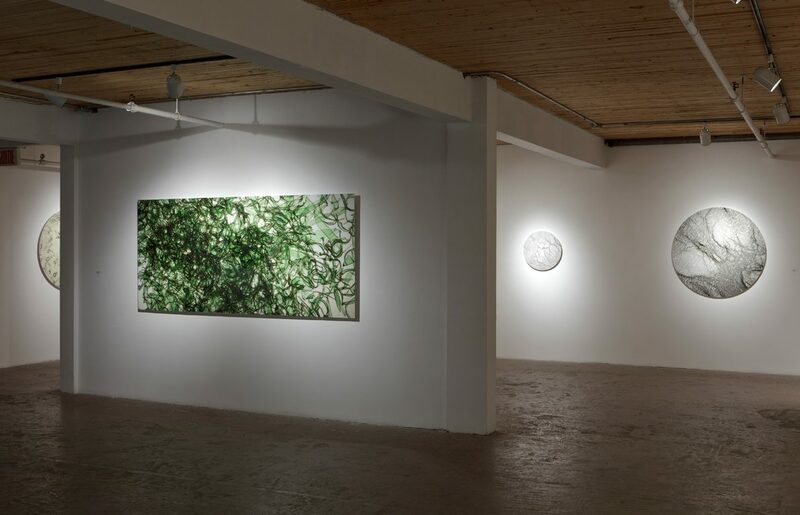 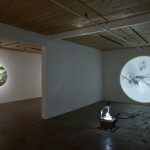 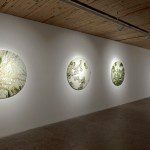 Lamarche frames several of his works within a circular shape which, based on the type of imagery he presents, recalls the Petri dish, the microscopic viewfinder, the camera lens, and other viewing apparatuses. 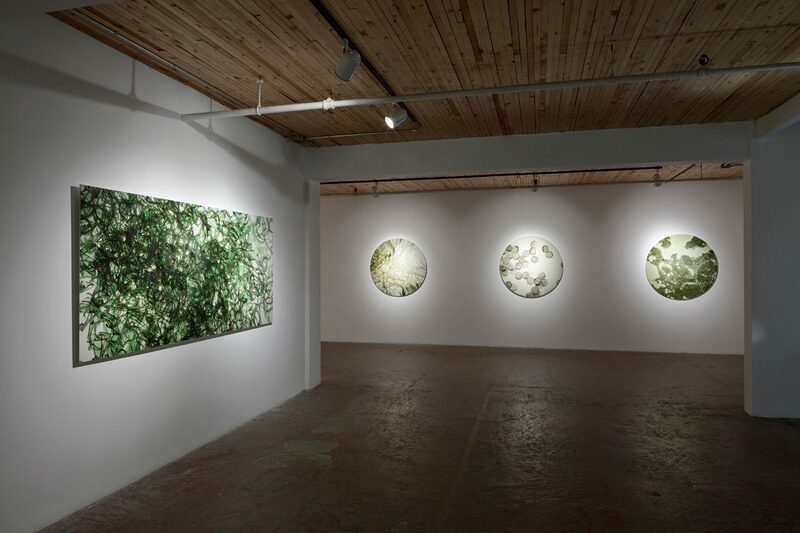 In his C3H6 (2011) series of photographic prints, aptly named after a chemical compound found in plastic, Lamarche uses plastic to create images that appear deceptively familiar – images that resemble, and could at first glance pass for, aerial shots of natural landscapes, telescopic views of outer space, or microscopic close-ups of living organisms. 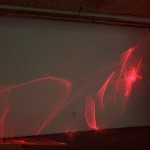 These images stress our (over)reliance on vision as an ‘objective’ means of apprehending the world, and the tenuous relationship between sight and knowledge. 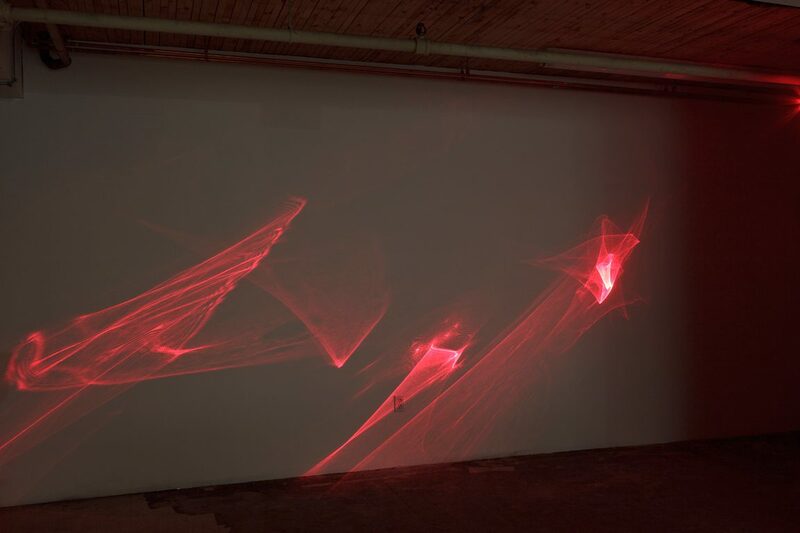 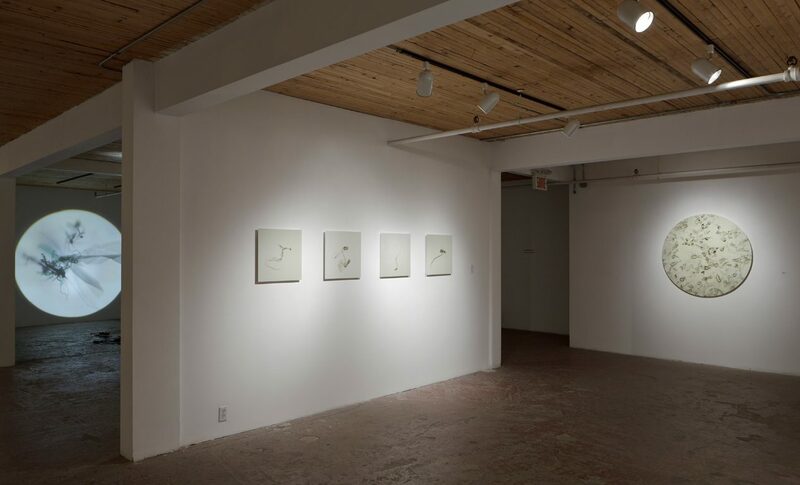 Inspired by current developments in the field of physics, astrophysics, and medicine among others, Lamarche’s creative process alludes to scientific research methodology. 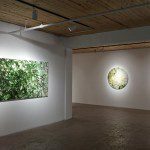 In particular, his work seems to reference the technological advancements made in these fields which allow researchers to access what remains hidden from the naked eye, and to explore what is out of sight and out of reach. 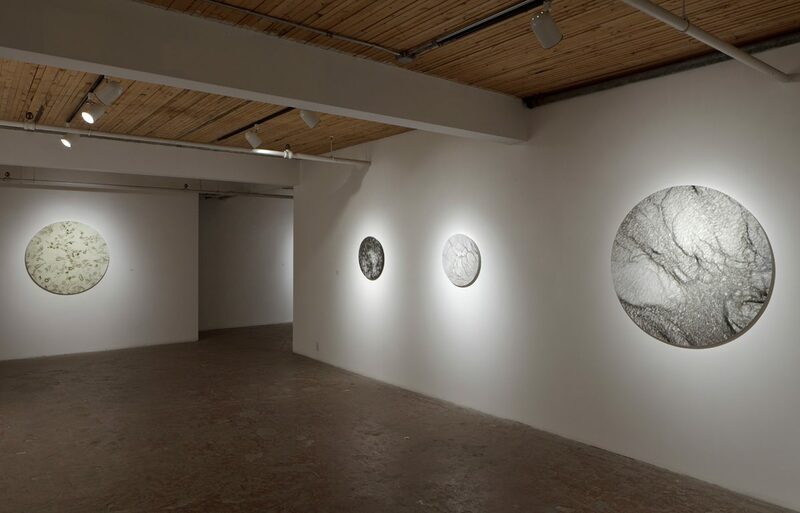 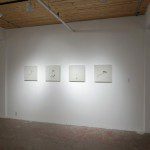 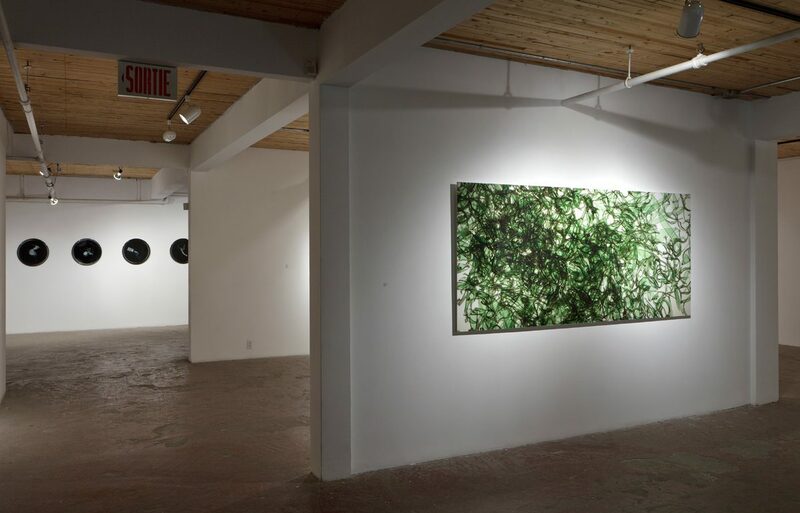 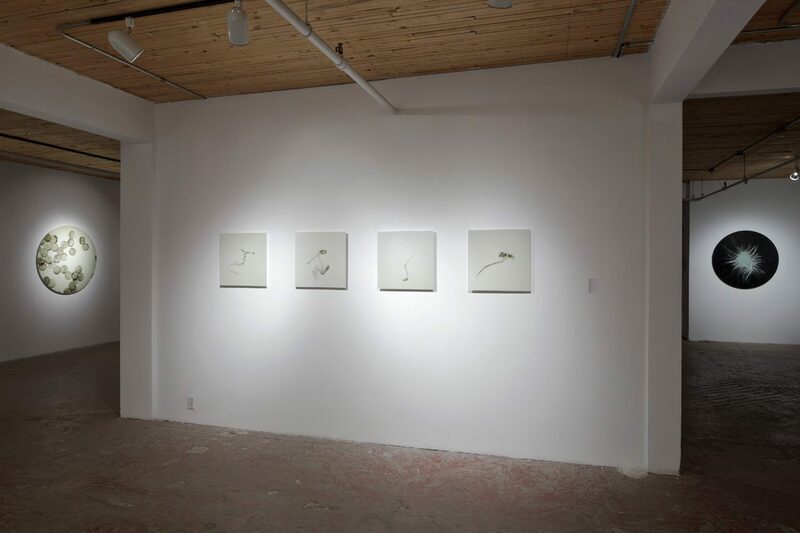 However, Lamarche’s work, and specifically his C3H6 series, does not simply emulate scientific imagery. 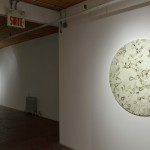 Instead it manages to touch on how, according to some, digital technology’s infinitely manipulable electronic bit has put into question the “authenticity” of what is represented. 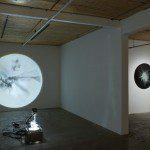 While faith in the camera’s objective eye has long been shaken in the fields of Art and Humanities, Lamarche’s work, which both physically and digitally manipulates what is represented, playfully unhinges any lingering beliefs about the “irrefutable truth-value” of scientific imagery. 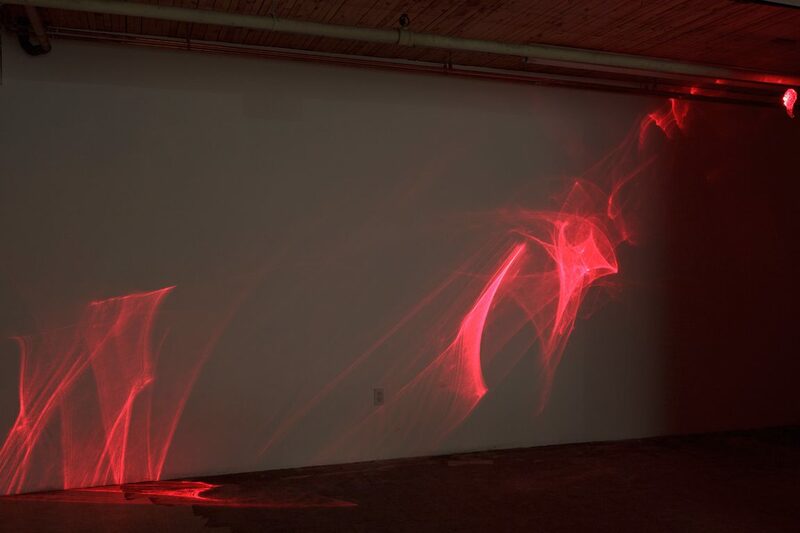 Intrigued by the innovative possibilities inherent in new technologies, Lamarche continues to explore the potential in what, for some, has become obsolete. 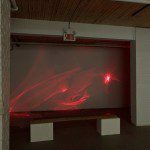 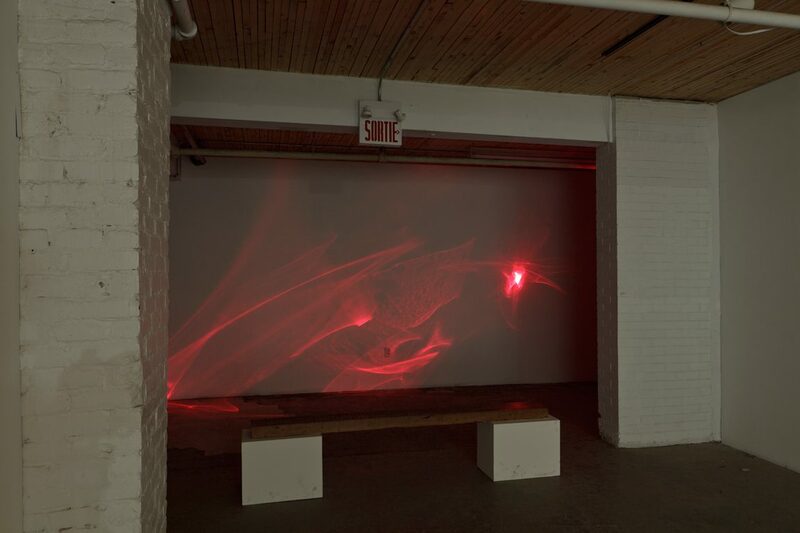 He not only recognizes the historical debt of the new to the old, but creates hybrid media works that merge laser technology, digital photography, and sculpture. 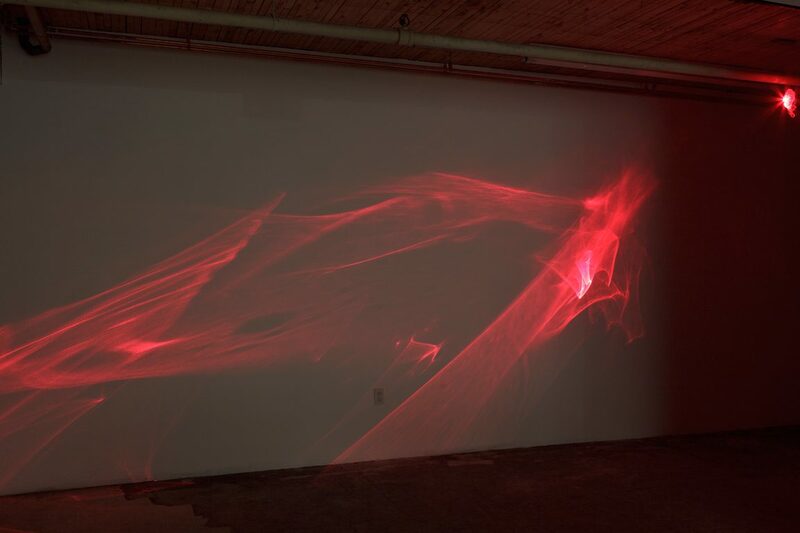 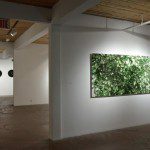 Lamarche explores the aesthetic potential in his use of hybrid media and blurs the divide between old and new, and high tech and low tech.